Taxes are the root of all evil for this is the confrontation against the people that historically leads to civil unrest and then revolution. The American and French Revolutions were over taxes. 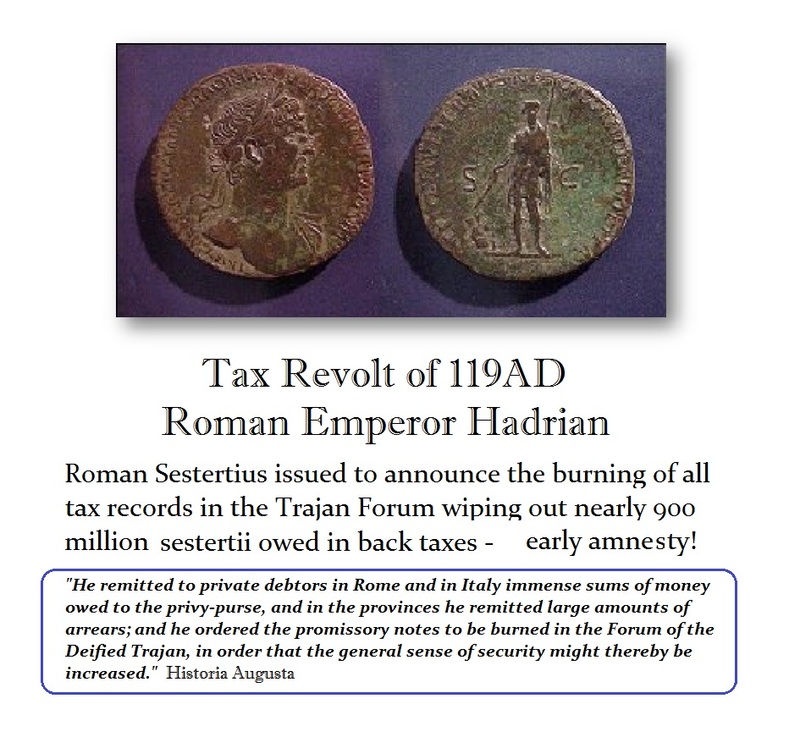 Historically, even the Roman Empire was forced from time to time to grant tax amnesty as was the case in 119AD. 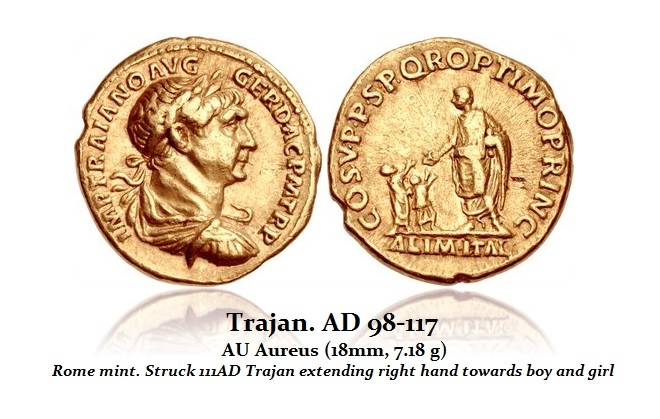 You even have Roman Emperors such as Trajan (98-117AD) engaging in social legislation known as the Alimenta, which was a welfare program that helped orphans and poor children throughout Italy. The Alimenta provided general funds, food and subsidized education for children. The funding came from the Dacian War booty initially. When that ran out, it was funded by a combination of estate taxes and philanthropy.The state provided loans like Fannie Mae providing mortgages on Italian farms (fundi). The registered landowners in Italy received a lump sum from the imperial treasury. In return, the borrower was expected to pay yearly a given proportion of the loan to the maintenance of an Alimentary Fund – a kickback so to speak. Taxes and social programs have been around a very long time. Today, debts are never reduced. Consequently, governments only raise taxes continually. We see this in some of the richest countries in the world. Now Singapore is passing three amendments expanding the power of the Ministry of Finance (MOF) under the Property Tax Act. This new legislation is one that will hand the Inland Revenue Authority of Singapore (IRAS) more enforcement and investigative powers. Singapore government is using the law to force people to pay more in taxes. There will be no privacy. Under this legislation, the tax authorities will be able to summon people to appear personally before them and to provide all information. They will be interrogated orally for investigation be it their own taxes, or another person’s property/properties. Governments are moving ever more closer to totalitarian states eliminating privacy and human rights. This is a global trend that will come to a head because governments will never reduce their costs and will always demand more and more taxes from the people until the bubble bursts.